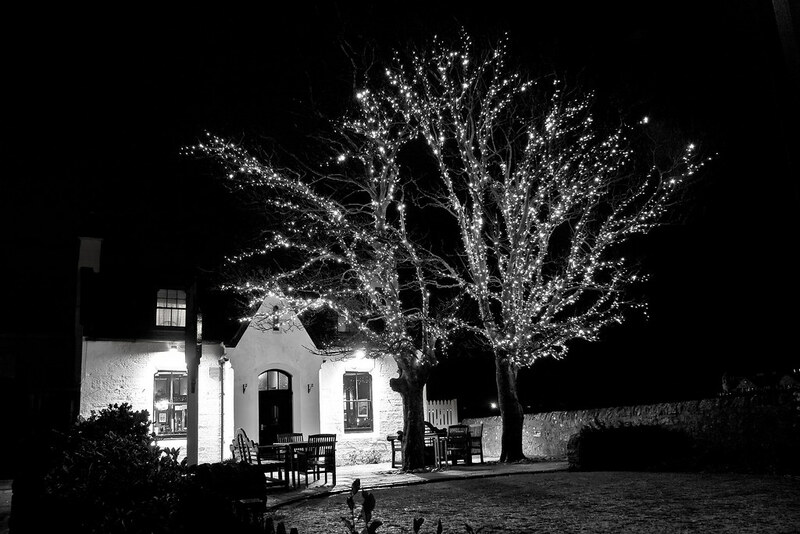 This tree stands outside the Jigger Inn at the Old Course Hotel in St Andrews. Someone has spent a fair amount of time wrapping the branches in fairy lights!. The Jigger Inn building itself used to be the Station Masters house when St Andrews had a railway station. Behind the wall on the right lies the world famous golf course, the Old Course. This entry was posted in Golf, Scotland, St Andrews and tagged dark, fairy lights, fife, hdr, lights, night, Scotland, scottish, skreid, St Andrews, tree. Bookmark the permalink.